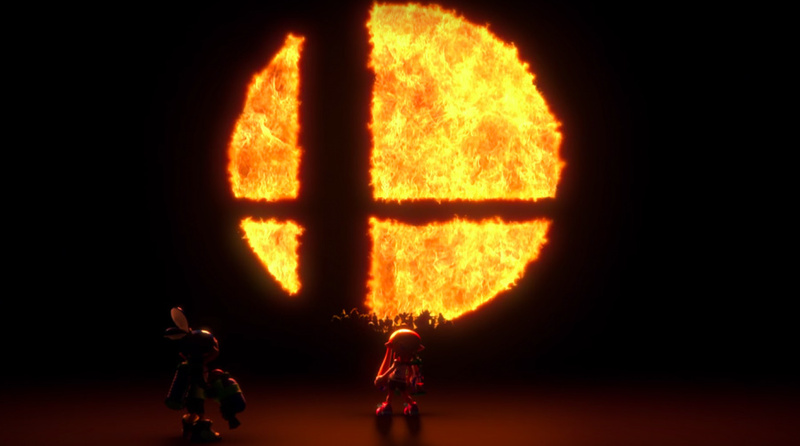 Nintendo has revealed that it is using a special reservation system to allow players to get to grips with Super Smash Bros. at this year's E3. The aim is to "shorten the time fans will need to wait in line" apparently, with pre-booked slots providing a "faster, smoother experience" so people can "spend more time enjoying the rest of the June 12-14 show". How does it work? Here goes! + Anyone who registers for E3 2018 by May 31 will receive an email from E3 organizers on June 5 with details about how to reserve one electronic ticket to play the game (available while time slots last). Attendees should make sure to add [email protected] to their safe sender lists so the email doesn’t get lost in their junk folders. + Signing up to play the game ahead of time is mandatory. No on-site registration will be available. + Tickets will be in the form of QR Code patterns that can be stored on a smartphone or printed out. + For more details about ticketing, visit https://e3.nintendo.com/attendee-faq for continuing updates. + Reservations will not be taken for any other games at Nintendo’s booth, which will be available to play on a first-come, first-served basis. That's not all - if you bring your Switch system to the show, you could be selected by "roaming members of the Nintendo team" to receive an "exclusive, collectible Nintendo Switch pin" (while supplies last, of course). We’re always looking to improve the ways people can maximize the fun they have with Nintendo at E3. 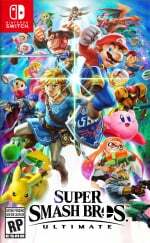 This year our focus is on the upcoming Super Smash Bros. game, and we want as many people as possible to give it a try. Will you be booking a slot this year? Ahhh, this games gonna be a huge beast!!! So hype!!!! yeah, lines are pretty bad sometimes. Thats one benefit Switch owners will have over Xbox and Sony owners at e3. They can pass the time playing games while waiting in line to play new games. @NewAdvent I think it's more a case of "If you're going to be here anyway, you might as well test out the game before launch to get a personal feeling for it - while not wasting 5 hours standing in line, which is precious time during E3". @Phin68 now you're going into the "don't mess with my emotions" line. This will probably be the first year w/ a significant number of Switch at E3, couldn't have been too many last year so soon after launch. I know there have always been Nintnedo and Sony handhelds there but Switch is closer to a portable home console than any of those, could add an extra dimension to the expo. Theoretically Nintneod could let every Switch owner download the SSB demo and play on their own console, build in a 3 day self-destruct time limit like a lot of their other demos have had. Why wait in line at all? @Phin68 "Test Smash before launch"
Test Smash about a week after paid Nintendo Switch Online goes live seems like an easy way for Nintendo to get people to pay up. Otherwise it's possible they don't get too many people to sign up until SSB releases later in the year. Well except in Japan where they will all sign up day 1 to continue playing Spaltoon 2. 1) They expect Smash Bros. to be wildly popular to warrant the reservation system, which is honestly doubtful compared to other possibilities. The spotlight game is always popular. 2) They want to give more time for people to play the game by limiting it to a one per person reservation system. 3) There won't be enough room to have all the demo kiosks needed normally because they will have more games to showcase, or want to have more kiosks dedicated to other games. Also, apparently they made up my mind about bringing my Switch to the show. I was only planning on bringing my 3DS (especially since I randomly got a goodie bag from a Nintendo rep because of it), but now I guess I have to bring my Switch. I HOPE I don't get snubbed. I registered for a gamer pass on the 3rd. However, I'm still debating if I should play competitively or casually... If Rosalina's on that roster, you bet I'm going competitive. Can I register for more than one ticket? Guests can only secure up to one ticket for the entire show to play either "For Fun" OR "For Glory." "For Glory": Test your skills and see how you stack up against other competitive players. Winners advance to play in up to three rounds, after which an overall winner is declared. 4) They believe Smash will cannibalize the rest of their E3 2018 lineup so by limiting the amount of time people can play Smash it's more likely people will try their other games like Yoshi or Fire Emblem. @Grumblevolcano That's a legitimate option, but they do have Nintendo reps watch the end of the line for each booth and they cap it and stop letting people line up for it if it gets too long. @Yoshi I was thinking more about people lineup to play Smash then straight after they've finished lineup again to play Smash and repeat until the show ends except a small break here and there. Capping the line doesn't really resolve that, it just instead means that the people who lineup first get to play the most times. Meanwhile this reservation strategy means each person who reserves gets to play Smash once (or a few times in For Glory if they do well enough) and that's it for the whole day. At least that's how I understand the reservation system. @Grumblevolcano I guess...? I suppose I can't rule it out, other then to say that the number of people who actually did this before is substantially small. Keep in mind that a lot of people there are members of the media, so they can't do that. Also, Nintendo (and several other companies) offers collectables for most of its games, and that's what incentivizes people to try everything. You only get one reservation for the whole show, unfortunately. I was planning on playing Smash twice, but so it goes. I still can't tell if it's a new Smash game or just Smash 4 ported. They're being tight lipped about this it seems, with mixed signals. I'm still amazed that Smash is big enough to focus the whole of E3 on like this though. It's popular to a point, but I just can't get myself to see this as a "big game." I'm missing the hype train this time.... There will be plenty of big stuff there, but this stated focus on Smash kind of has me side eyeing Nintendo's E3 for now. The best thing about Smash 4 was the epic Iwata vs Reggie duel. The last "big moment" we had with Iwata. They should release a special E3 demo for at least one of their games on the Eshop this year. The pin giveaway seems like a pretty smart idea. This will increase the odds of seeing someone playing a Switch on streams and footage (especially if they're trying to get a Nintendo rep's attention for the pins). It'll make the Switch look very popular (more so than it already is) and will make Nintendo's presence appear bigger at the convention. Cuz, ya know, it's definitely a port, right? Has it been confirmed then, that this is a new game? And therein lies the problem: people could be reserving a space to play a port of the Wii U game! Cunning way to build up interest if it is just a port with a few more characters.